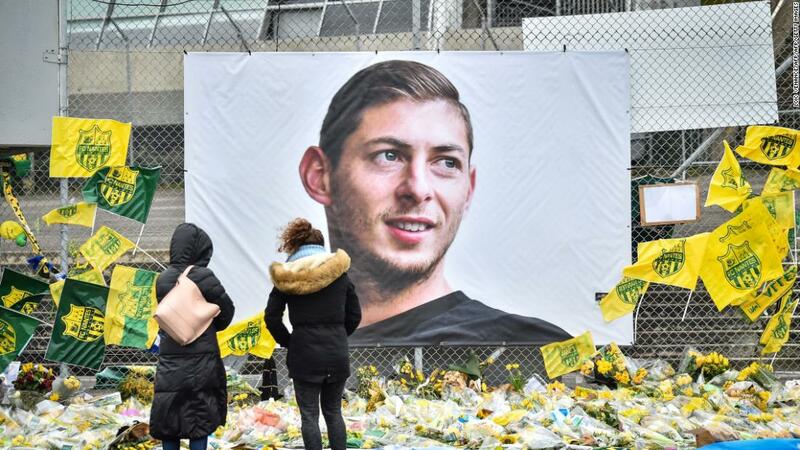 (CNN) Two Southampton fans have been detained by police after apparently mocking the death of Cardiff City footballer Emiliano Sala, during a match between the two teams on Saturday. Footage posted on social media after the game appeared to show the men making airplane gestures, in Cardiff's first match played since Sala's body was found. The footballer, who had signed for Cardiff City but had not yet played a game for his new club, died after his plane crashed over the English Channel last month. Southampton confirmed that two men were spoken to by police in a statement, promising to ban the supporters involved. "The club will continue to work with Hampshire Police to identify any individuals deemed to have made indecent gestures towards Cardiff supporters," the club added, according to Agence France-Presse.